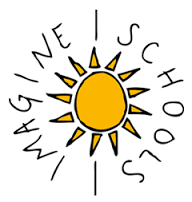 Hello and welcome to Imagine Schools: Madison Avenue School of Arts! We here at IMASA are working hard every day to give our students a top of the line education.It is with great pleasure and humility that I look forward to serving each one of you this coming year We are so excited to be NATIONAL AWARD WINNERS for SHARED VALUES, SCHOOL OF THE YEAR, AND CHARACTER DEVELOPMENT! We are sure to have a spectacular school year when each one of us unites around Imagines’ Six Measures of Excellence that will bind us together with common goals and a shared vision! We are committed to the Six Measures of Excellence: Parent Choice and Satisfaction, Economic Sustainability, Character Development, Academic Achievement, New School Development, and Shared Values. The Six Measures of Excellence guide our work and efforts as we strive for high levels of success for our students at IMASA! We use the latest and proven researched-based instructional strategies. We take a proactive approach to education with our Response to Intervention (RTI) framework that identifies any student that is not on track with Common Core standards. After identifying, we then provide research-based interventions in a small group setting to ensure each child is growing and thriving. Our arts program is the foundation of our school. Each student is afforded the rare opportunity to receive electives in art, music, dance, drama, physical education, and technology! Students are encouraged to be artistically expressive and our teachers do everything they can to foster their creativity and incorporate the arts within their classrooms daily. Students of all grades receive physical education, art, music, technology, drama, and dance class once a week. Students in grades 3-5 are afforded with the opportunity to choose electives based on their interest such as: ceramics, hip-hop dance, violin, journalism, music engineering, with several additional alternatives. You will not find another elementary school in the city of Toledo or the surrounding area that offers electives at the elementary grade levels. We encourage art and music exploration at every grade level. Students learn about a new artist or musician every day through our monthly Artist Spotlight. ​ I look forward to meeting you and thanking you for considering Imagine Madison Avenue School of Arts when selecting a school for your most precious gift.... your child! We know how important your children are and we do all that we can to educate them in a creative, artistic, and nurturing environment where the sky is the limit! We are building tomorrow's future. Our teachers and faculty work to ensure your child is prepared for the world of tomorrow! THANK YOU FOR CHOOSING IMAGINE!